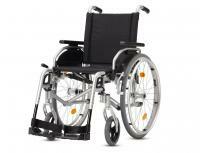 If you need to rent a wheelchair for your holidays in Gran Canaria we can help with a wide range of models and stock. Action2NG aluminum chair was developed from concept already tested Action3NG with which it shares the same platform. 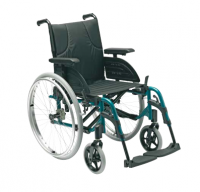 It is ideal for users looking for reliability, comfort and safety with good results and a total displacement lightweight chair. 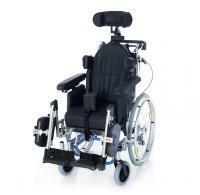 It shares features with other chairs of the Action range for easy storage of spare parts. The Action1NG has been designed for optimum maneuverability, both indoors and outdoors. Its compact dimensions make it easy to operate in confined spaces or places with very crowded. Thanks to its folding and removable rear wheels Action1NG is easy to store and transport. A transit version with 12 "wheels solid for dependent users. 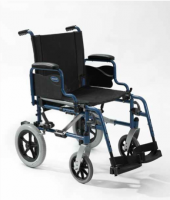 Comfortable, foldable and lightweight, the new Invacare Action4NG is the perfect chair for the day. One of the keys of this model is that it shares the same platform as the other models in the family ActionNG. 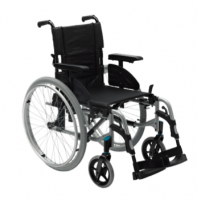 Therefore, users and professionals can enjoy a wide range of compatible choices between these different models for a perfect adaptation of the chair to the user. Full Chair: all the elements included. Drum brakes. Adjustable in height and width. Adjustable seat depth. Removable padded armrest width, length and height adjustable.